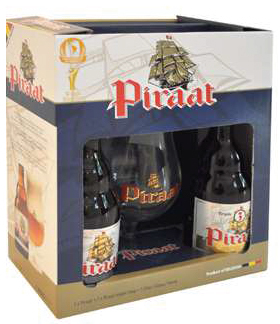 Piraat is a Belgian beer, Belgian Strong Pale Ale style, launched in 1982 by Van Steenberge Brewery, in Ghent. 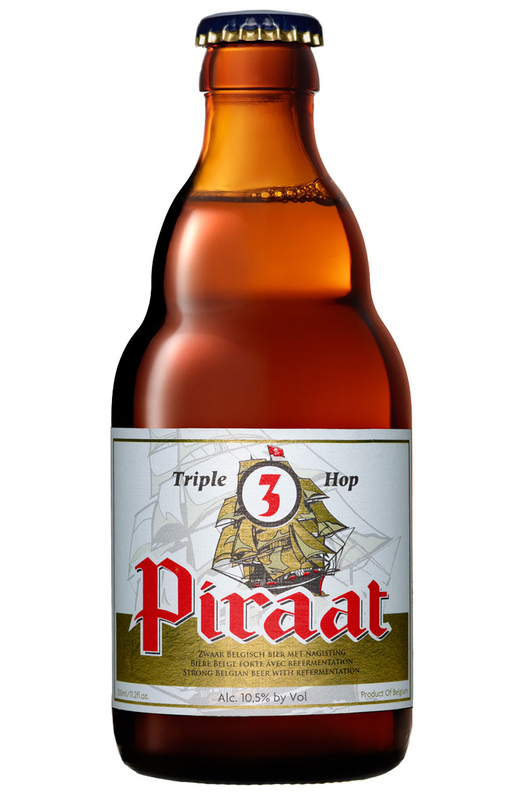 It is manufactured with natural ingredients and no less than three types of malt (Pale Ale, Pilsener and Munich) and bitter hops (Aurora and Petra). This is a perfect combination for a special beer with malty, sweet and hopbitter tastes. During its brewing process, fermentation takes place both in the bottle and in the barrel, ensuring preservability for years with an evolution in taste. Its full foam head lasts until the final sip. This top-quality strong Belgian beer has a unique character. It is excellent in all aspects.